What a difference a week makes. Last Saturday Ireland were lambasted for their dire showing against Australia. Today they came within 30 seconds of their first-ever win over the All Blacks. It was clear from the anthems that Ireland were fired up for this match. Peter O’Mahony, for one, looked to be holding back the tears. Perhaps the previous week’s display had been a ploy to lull New Zealand into a feeling of complacency. It certainly worked. Ireland had scored three tries – through Conor Murray, Rory Best and Rob Kearney – and were 19-0 up after just 20 minutes. They played at such pace with and without the ball that they caught New Zealand on the back foot when in attack and didn’t allow the visitors to get any rhythm to their game when they were in possession. Julian Savea pulled a try back for New Zealand, collecting an Aaron Cruden grubber and picking a great line to score, and Ben Franks barrelled over with 15 minutes to go. Ireland then seemed to regather control and looked set for a historic win. However, Johnny Sexton missed with a penalty that would have meant New Zealand needed to score more than a converted try. Then came the sucker punch: a Ryan Crotty try brought the scores level and Cruden converted at the second attempt to ensure it was the All Blacks, not Ireland, who entered the record books as the first team in the pro ere to win all of their Tests in a calendar year. Much will be made of Ireland’s heroic performance, the passion and commitment they brought to the game, but it also must be said that having built such a lead they should have closed out the win. Whether that is a question of tactics or mentality is something Joe Schmidt will have to answer before the Six Nations. The penalty awarded to New Zealand in the final minute. There were less than 30 seconds left on the clock so they had to take a quick tap but showed great patience to take play from their own half to Ireland’s 22. From there they stretched Ireland left and right before Aaron Cruden passed wide to Dane Coles, who in turn fed Ryan Crotty and the replacement went over. The TMO ruled that the try was good and the scores were level. Up stepped Cruden to take the conversion from out wide. He missed but was allowed to retake it as Ireland’s defenders had charged up too quickly. There was no mistake the second time and it was New Zealand who were celebrating victory. It’s hard to pick one standout performer but the Ireland captain was at his warrior-like best in Dublin. He led the forward effort with aplomb, powering into defenders whenever called upon to carry, tackling hard in a ferocious defensive performance, making his considerable presence felt at the breakdown and calling many a lineout to himself as Ireland got their mauling game going. In one word: immense. 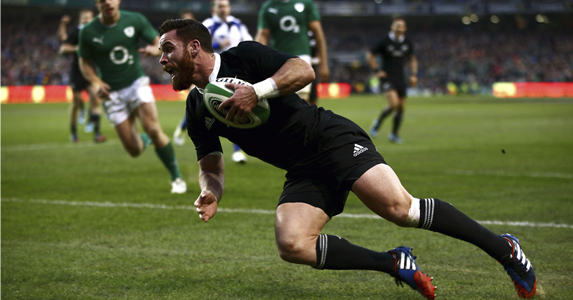 New Zealand made 554 metres with the ball compared to Ireland’s 261 and beat 19 defenders to the hosts’ 12. 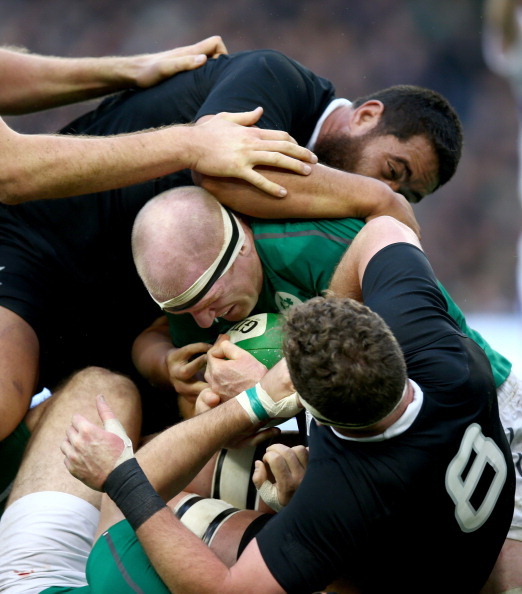 Ireland made 183 tackles to New Zealand’s 138, with Jamie Heaslip (25) and Sean O’Brien (19) top of the charts. Ben Smith was New Zealand’s top metre maker with 108.